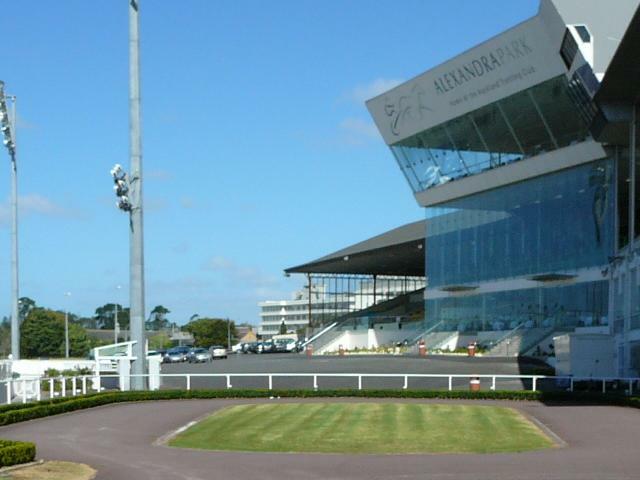 The venue at Alexandra Park has many advantages for visitor comfort and enjoyment. It is very picturesque, flat, in the middle of the city, and within walking distance for thousands of potential visitors. It has easy access from anywhere in Auckland and has very direct access from the motorway for visitors from outside Auckland. As you can see in the preliminary plan for the Flower Show below, it has plenty of on-site carparking that will accommodate all visitors without having to be bussed from their cars. There is also comprehensive existing public transport that already services the area with over 200 scheduled buses that go right past the venue and stop right outside every day. Alexandra Park also has comprehensive, existing infrastructure on the site. Many of the exhibits will be housed in existing buildings rather than marquees with grass floors. The venue has a licensed cafe open 7 days, proper toilet facilities and many other facilities that you would expect in a venue that has been continually developed over a period of more than 100 years. Note all the tar-sealed surfaces surrounding everything in the photo above - no more tramping around in the mud here! 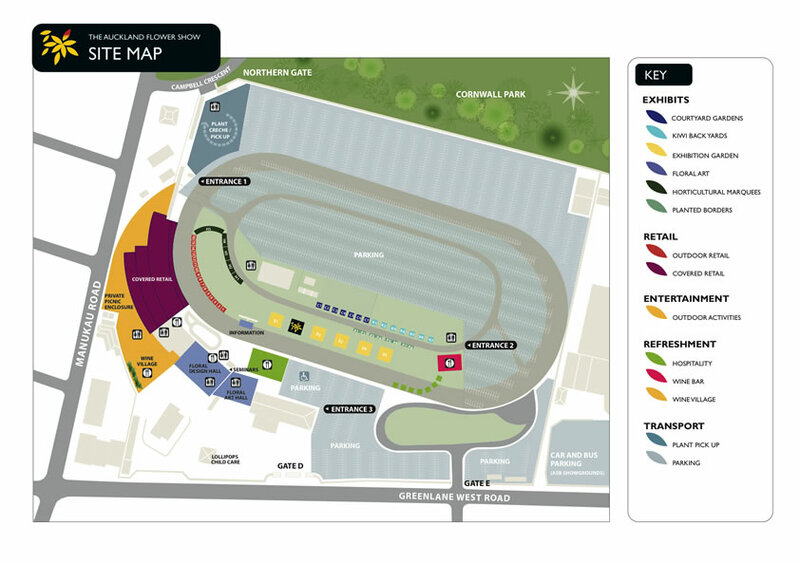 Also note all the unused stands with seating and shelter, should any of Auckland's frequent showers pass overhead.